Available in two colourways, all black or all white – each with a white ENCAP midsole – the Iguana Pack has full nubuck uppers, which are debossed with a faint reptile skin design. 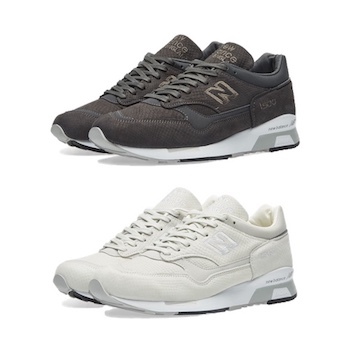 Much earlier in the year, New Balance dropped a similar black / white ‘Reptile Pack’, so this scale-like motif has turned into a bit of a recurring them for the brand, and it’s one it’s pulling off with aplomb. Both of the new reptilian designs boast the ‘Made in England’ label, which means they were made in the brand’s Flimby, Cumbria facility, where many of the brand’s heritage classics are manufactured, such as the 1500, and only using premium quality materials. 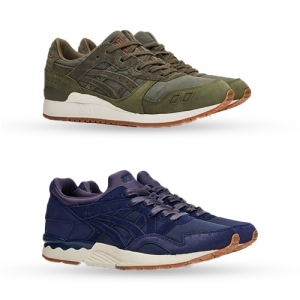 What else can we tell you about the ‘Iguana Pack’? The trainers will come with tonal wax laces, nubuck embroidered signature branding and tonal heel counters. And, like all 1500s, it has the small ‘N’ logo on the side, along with additional embroidered detailing.